The DJ, singer and songwriter known as Amanda Almius has released her latest official dance single, “Get Up On the Dancefloor.” The track has been proudly published on the Heart Attack Music independent record label. Catchy, upbeat, and based on a deep groove that gets audiences out of their seats, “Get Up On the Dancefloor” by Amanda Almius is likely to find a home in nightclubs and personal play lists alike. Asked to cite some main artistic influences, Amanda Almius mentions Beyonce, Amanda Marshall, and Krewella. Her own style takes some of the qualities and attributes common to these three, but has also a strong emphasis on being danceable, coming as it does from a full-time dance instructor from Gothenburg, Sweden’s second-largest city. Having begun in music at a very early age singing, playing guitar and writing original songs, Almius is a successful and popular DJ when she’s not teaching dance. “Get Up On the Dancefloor” was recorded at Gothenburg’s famous Tuff Studios, who produced and recorded more than three albums for Ace of Base in the 1990s. 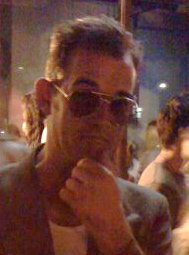 “Get Up On the Dancefloor” was also co-written by John Ballard of “It’s a Beautiful Life” fame. Heart Attack notes that this is her first single and hints at an upcoming national tour. “She´s all ready to hit the road,” says a representative of Heart Attack Music. “Get Up On the Dancefloor” by Amanda Almius is available online worldwide from over 600 quality digital music retailers now.